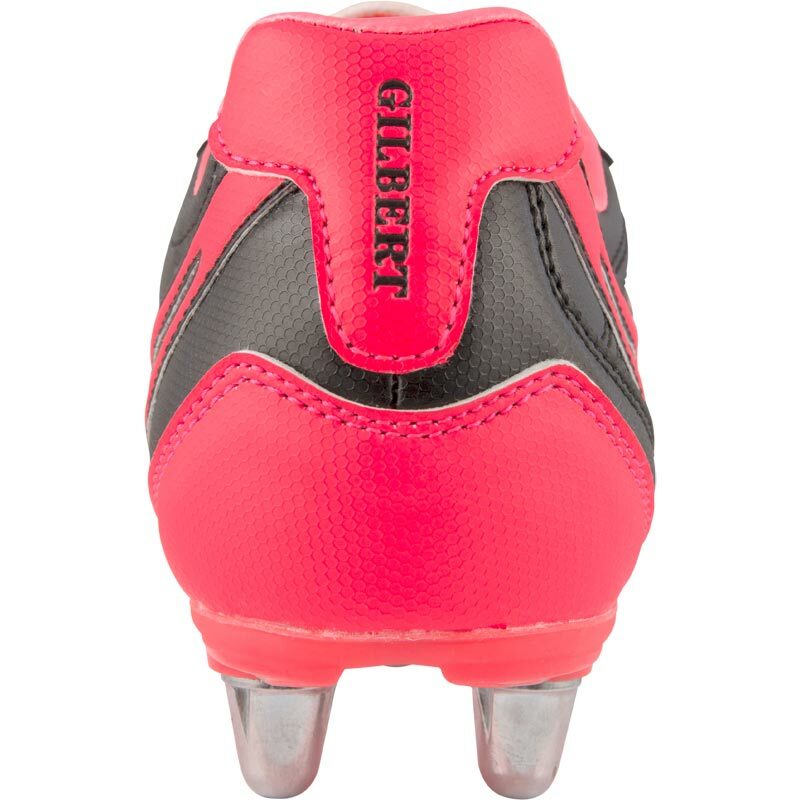 Gilbert ® Sidestep V1 6 Stud Low Senior Rugby Boots, an update on the outstanding classic Gilbert rugby boot, the sidestep VI offers a great combination of style durability and performance. 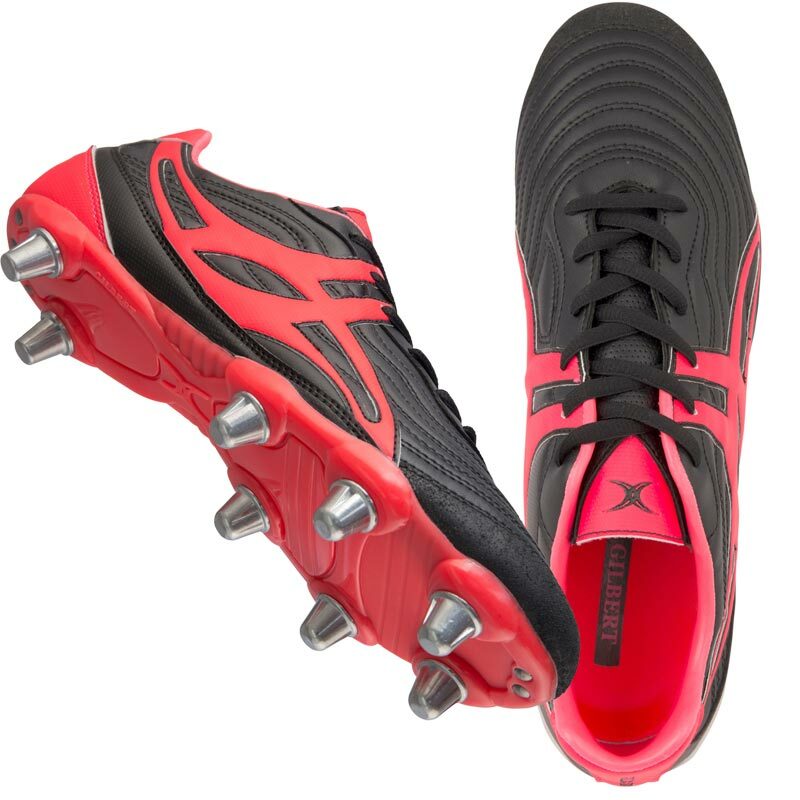 Player type: Designed to meet the needs of all types of players on soft ground - 8 stud outsole (6 on junior) provides the traction needed in the forwards. Synthetic leather for reliable, lightweight durable performance in all weather conditions. Support cradle - Redesigned logo acts as a stability cradle around the foot. New improved last - streamlined last ensures a second skin like fit. 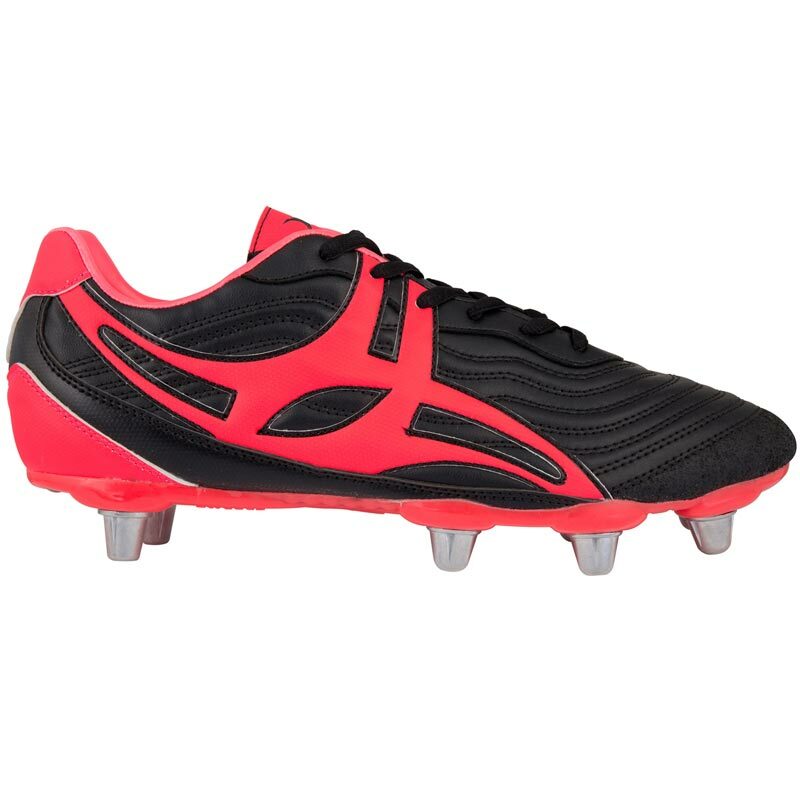 XSP Outsole - 8 stud outsole designed for soft ground. Strategically positioned studs for oputstanding weight distribution and ultimate traction required for rugby. These boots look the part and have held up well in games. Well stitched and the extra studs at the front give better traction when performing in a scrum. So far 4 games in the boots are doing the job required only downside to these boots are the insoles. Bit disappointed that the Gilbert brand haven't put in better supporting insoles, the ones in the boots are as thin as paper and regularly move aorund the boot when worn.